This time Roberto Giuliani takes the stand. 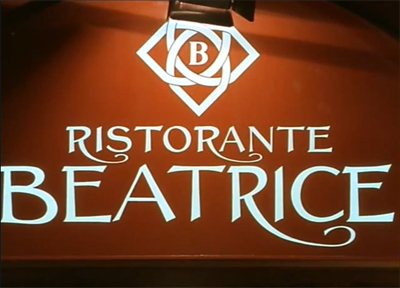 I visited the risotrante Beatrice on July 19th, after calling upon Raffaele Troisi of the Vadiaperti winery; Raffaele hadn’t been in a number of years and I must say going was a good idea. Not just because of the quality of the food, which is absolutely traditional and “cooked the way we cook it at home,” but the natural sincerity with which we were greeted was decidedly uncommon. After eating very well – we’ll get to the dishes anon – Raffaele and I wanted to see who was working the kitchen, and met Maria Teresa, a woman who is both very sweet and somewhat reserved, and wasn’t the least bit afraid to tell us she had never taken cooking classes, nor consodered herself to be a chef; rather she simply liked to cook and had been doing it since she was a girl. But that’s not all. Teresa is also an expert in the tombolo, the instrument traditionally used to weave lace, one of the many crafts that is, alas, vanishing. Why? Simple, because like many hand crafts it’s not remunerative, To weave lace on the tombolo, using the wooden spindles upon which the string that will serve to produce the pattern is wound requires experience and dexterity, hours of work, and the finished product has a cost that few in today’s world can understand. In addition, it requires sacrifice and dedication copled with continuity and force of will, and if one isn’t repaid for the difficult labor carried out, it’ not worth it. Maria Teresa continues to do it, however, out of principal, and because it helps her relax and shed the tensions of the day. It is of course frustrating to think that these arts are vanishing, taking with them history, passion, and culture, and the past few years have given little reason to hope for a change in direction. Indeed, I had the impression that Montefusco provides a perfect example of what is happening all over Italy. Now the restaurant has to struggle to fill its tables, despite the excellence of the food. I tried Lagane e chick peas, pasta midway between fettuccine and pappardelle prepared with just flour and water and served with a legume sauce, which were a delight. Just as good was the platter of grilled veal and lamb. I could have opted for Fusilli with sausage and rucola, or baccalà and onion soup with olives and capers, or Lagane with beans and cotechino (the local cotechino has nothing to do with what’s made in Emilia; it’s a pork sausage seasoned with red pepper), and then pork shank and other classic local dishes, all cooked to order and priced quite reasonably. Bruno had a nice wine list with wines from all over Italy, but has been forced to reduce it because the demand for unusual jems has decreased considerably, though he does still have some. And then there is Montefusco, a fascinating town with less than 1500 inhabitants, at an altitude of 707 meters above sea level, with breathtaking panoramas and a strategic importance that the Sannites understood all too well. One need only take a few steps along one of the main roads to discover churches dating to the Lombard occupation, for example San Bartolomeo Apostolo, and others from the XII Century, such as San Giovanni del Vaglio. 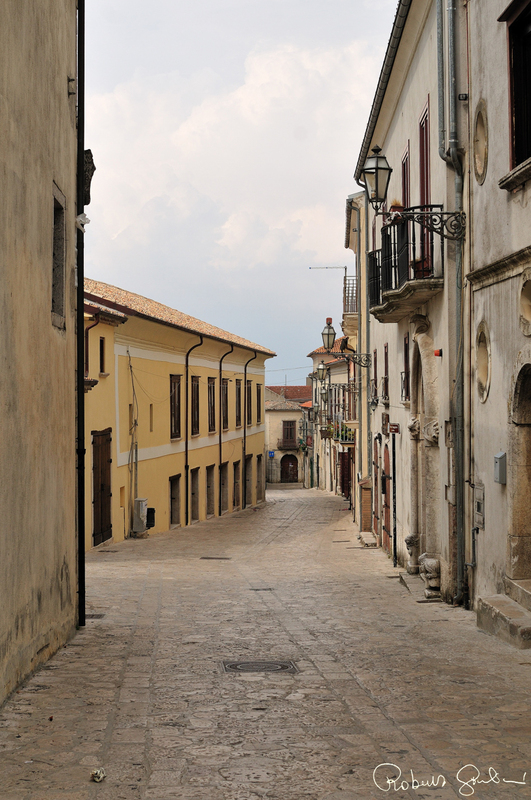 A town well worth discovering, and of vital importance for the production of Greco di Tufo. In sum there are many excellent reasons to visit Beatrice, not the least of which is to see how Maria Teresa works the tombolo with passion and skill. 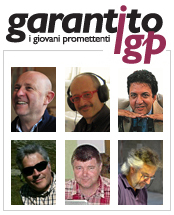 This entry was posted in Garantito IGP and tagged Garantito IGP, handcrafts, iItalian traditions, Irpinia, Lace, Maria Teresa Lepore, Ristorante Beatrice, Roberto Giuliani, traditions, weaving lace. Bookmark the permalink.